Supply chains are complex. 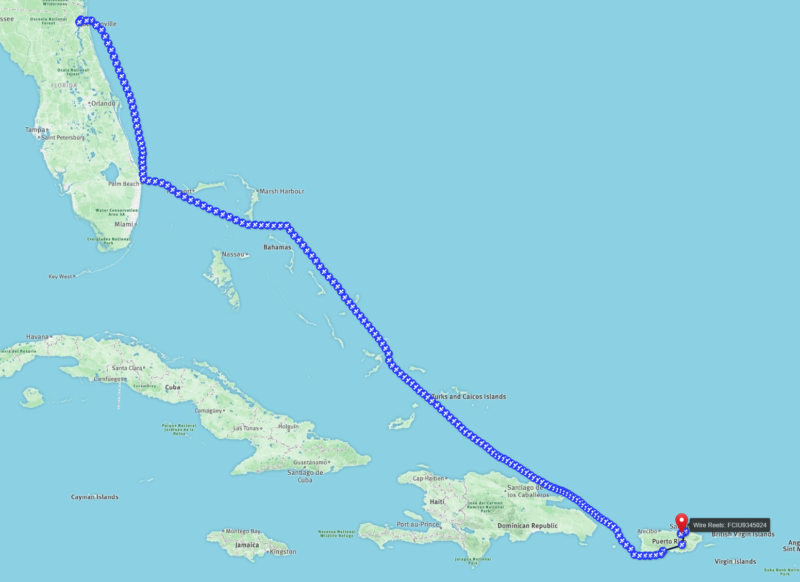 They cross borders — through intermodal distribution, logistics, and warehousing. 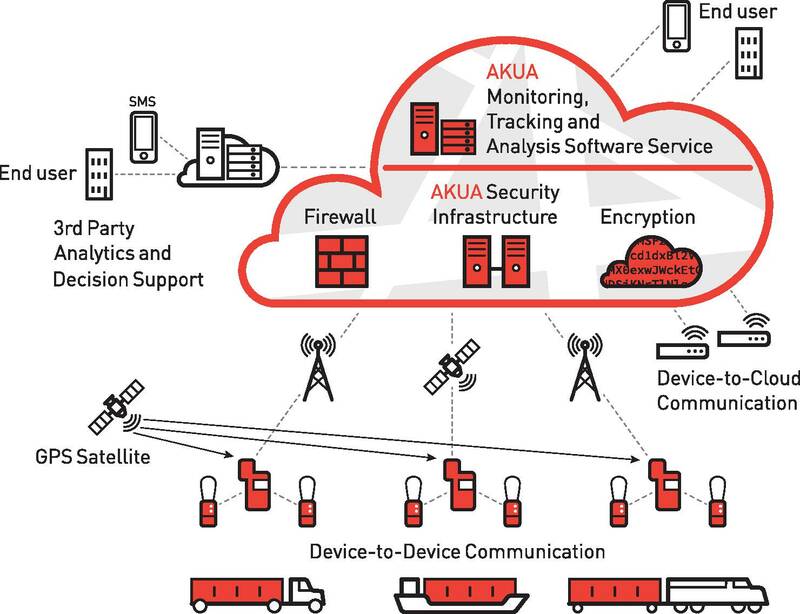 AKUA combines the industry’s most advanced tracking devices, proprietary multi-layer security, in-transit analytics, and AKUA web services to deliver full, end-to-end supply chain tracking and monitoring that transforms sensor data into actionable information. 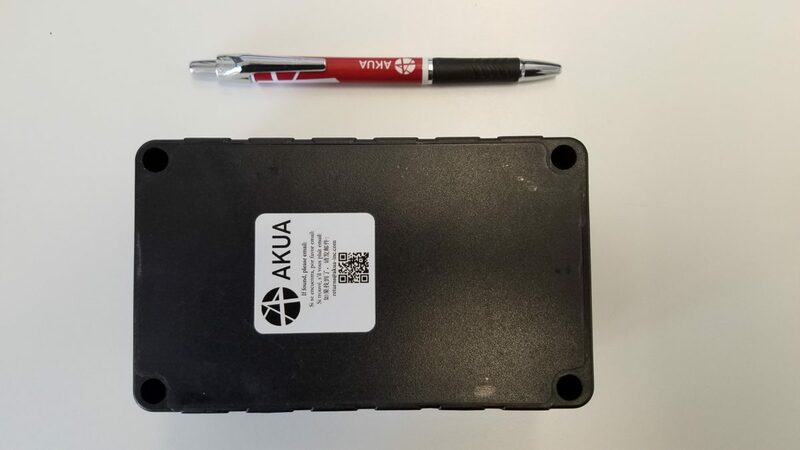 With the AKUA Cloud Platform, cargo owner can GPS-track and continuously monitor the progress of intermodal containers. Our devices provide real-time security and environmental sensing, with data reported through telecommunications infrastructure up to the AKUA cloud. 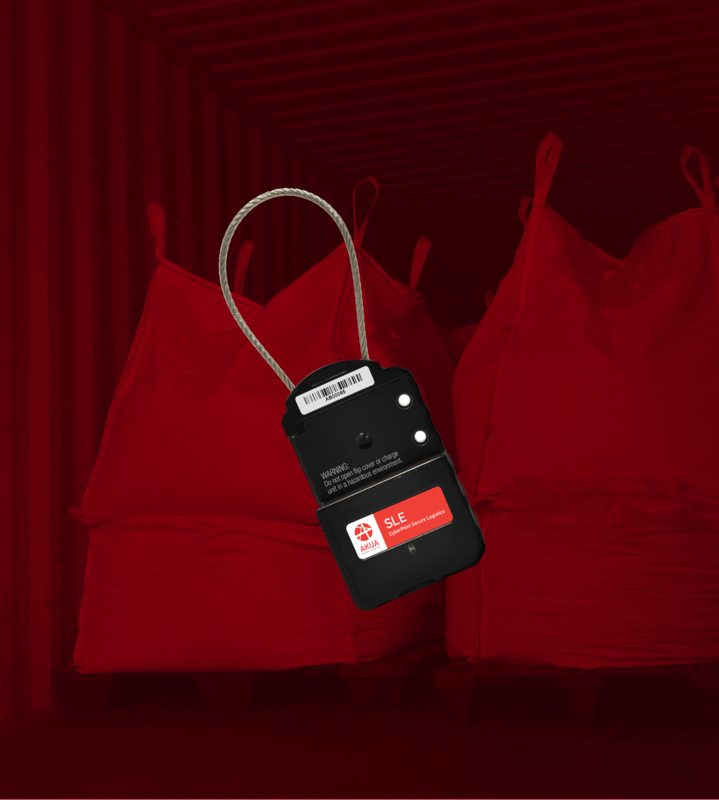 This lets cargo owners maintain real time awareness of their shipments’ location and status, with immediate alerts of any incursion or environmental threshold violation. With AKUA, there is no new equipment to buy or manage. The necessary IoT gateway devices, sensors, and device logistics are included in the subscription. A customer’s existing IoT sensors can also be easily integrated into the AKUA Cloud Platform. 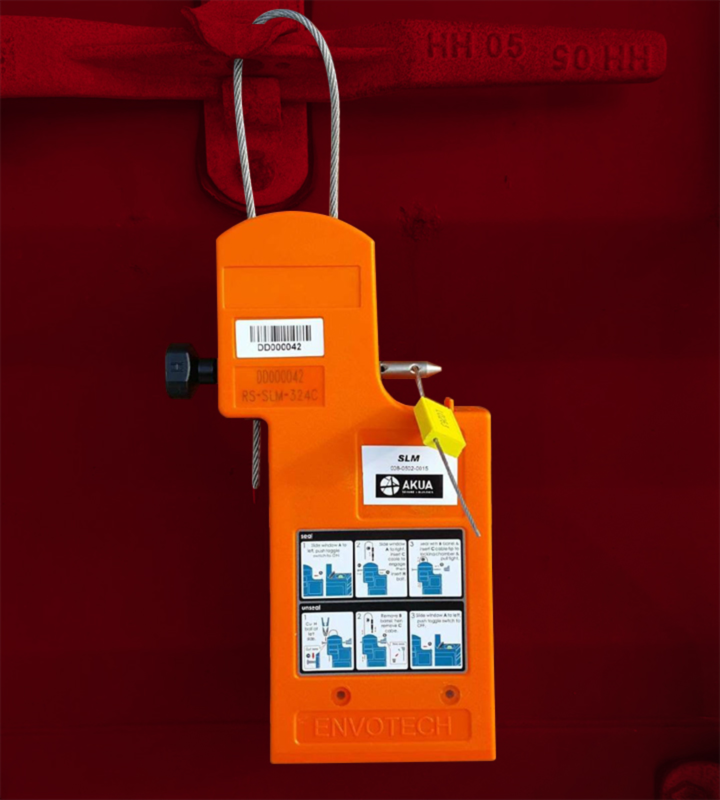 AKUA’S Secure Gateway is the only ISO 17712 compliant electronic security seal (e-Seal) on the market for real-time tracking and security tamper alerting of intermodal containers. Our Secure Gateway uses GPS technology for positioning and GSM/GPRS for real-time communication. It meets the C-TPAT High Security standard for seal strength and barrier capacity, and it provides both digital and mechanical tell-tale evidence of tampering. SLE is a family of remote slave sensors that monitor and report environmental status (tamper, shock, motion, temperature, humidity, and light) and issue real-time alerts in the event of breach or threshold exceptions. 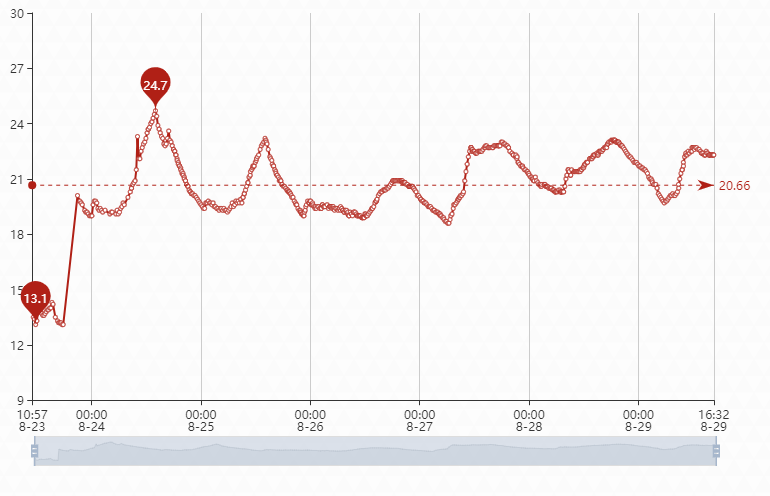 If temperature, humidity or other variables trend toward unacceptable limits, real-time alerts give cargo owners the opportunity to take corrective action in time to preserve their shipments’ value. Predicting the condition of goods at time of arrival. 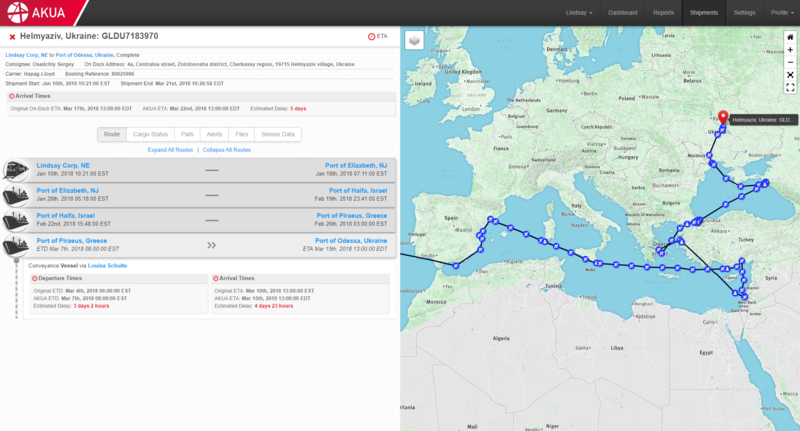 Environmental monitoring data and established ripening, deterioration, or just-in-time logistical profiles can be used to inform decisions that will get the cargo to the right place at the right time. Early decisions ahead of arrival optimize the value of goods. Cargo owners can use AKUA data directly in their own analytics and visibility platforms, or they can choose AKUA’s online tracking tool with its user-configurable dashboard and mobile application solution. 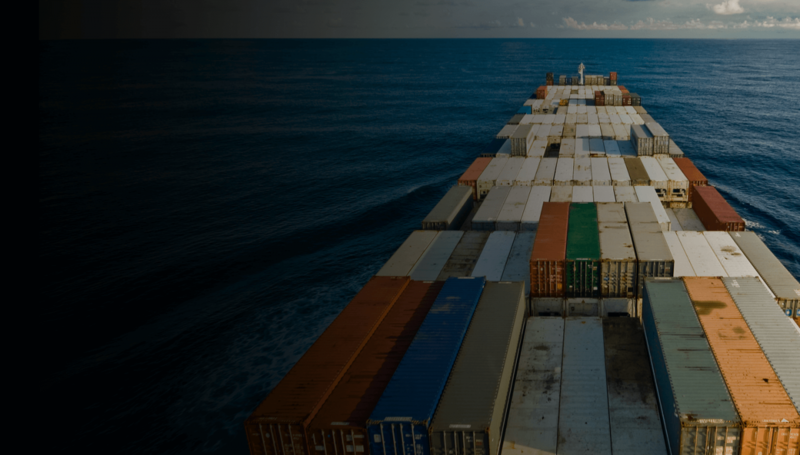 Data as a Service provides direct access to information on the status of containers and cargo for companies that need to integrate tracking and monitoring data into a third-party or proprietary platform. AKUA can provide necessary data feeds and custom integration. AKUA’s cloud-based web and mobile application deliver 24×7 in-transit visibility and awareness. Its intuitive user interface and dashboard provide location mapping as well as security, environmental and cargo status information. Our turnkey service includes comprehensive capabilities for alerting, notification and reporting. you understand whether that’s what should be happening. A physical lock only helps an honest person stay honest. But the sophisticated thieves after your supply chain can obfuscate data and turn your security against you. They’re also exploiting poorly secured GSM and WPAN networks to steal from you, sniffing them for the location of valuable cargo, and spoofing remote devices to keep you from getting tamper or condition alerts. Today’s smart, secure supply chain depends on knowing what’s going on with your cargo. 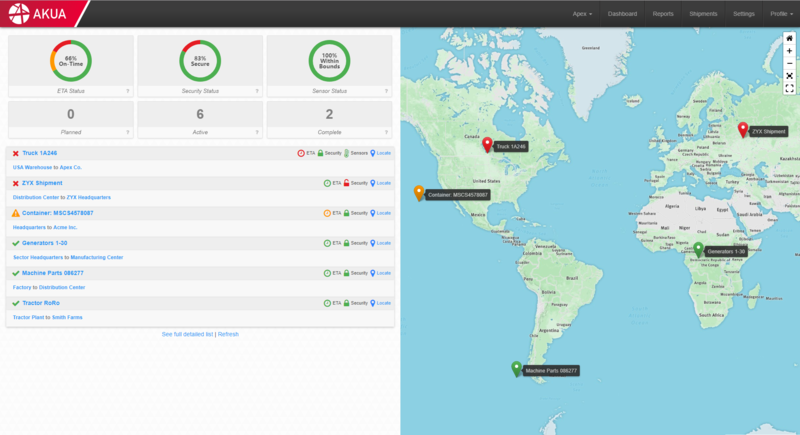 Cargo owners need trustworthy status and alerts in real-time. AKUA’s infrastructure provides both multi-layered and in-depth defenses to assure the safety, security, and integrity of your cargo. AKUA ensures the confidentiality and integrity of your data through encryption, provisioning, and authentication. The reality in the control center and the reality at the container are always one and the same. Whether the threat’s in physical space or cyber space, AKUA’s machine learning and anomaly detection identify unusual patterns that can indicate malicious intent.